Its time for another monthly blog hop – and this time we are taking you on a winter wonderland tour. Don’t worry – its a short tour so you won’t get frostbite! While you visit, take note of each designer’s name and their special holiday treat in their blog post. Once you finish your garden tour, send an E-mail to custserv@papergardenprojects.com with the list of designers and their holiday treat. Everyone who sends the correct list of designers and decorations will be entered in a random drawing to win a prize. You need to send an e-mail to the address above; please don’t leave your list as a comment. You have until midnight (EST) on Wednesday, November 24 to send your list. For the prize? Any 4 digital stamp sets of your choice, including the new Christmas Foliage set. Here is the garden tour guide list. Feel free to bring some hot chocolate! For my frosty project I decided to use the adorable Penny Black stamp” Sweet Snowman” to make a little treat box. I also want to introduce you to the Purple Onion Treat Label stamps. I’m so excited to use these for the holidays!! I started with a 3″x3″ clear box. I made the cute label for the front using the Sweet Treats label set stamped in pink ink. Over the label I stamped “toffee” from the Home Made Treats set (it has TONS of different labels for all the treats you can imagine). Then I cut out the label with a circular die. A strip of striped paper 1″ x12″ as a band around the box. A square of striped paper 2 7/8″ by 2 7/8″ for the top of the box. A strip of blue cardstock 1″ wide and 8 1/2″ long. I scored the strip 1 1/4″ from each end folded it in the center. This will be the tab the supports the snowman. A scalloped circle for behing my circular label. A blue mat to fit behind my cut out snowman. To assemble the box, make a 1″ slit in the middle of the square and feed the folded blue cardstock strip through the slit. Adhere the bends in the strip the the bottom of the patterned paper square. Adhere the square to the top of the box. Adhere the patterned paper strip around the box. The strip will not quite make it all the way around the box – so position the gap so the Sweet Treat label covers the gap. The last step is to adhere the image to the tab. Place the image in front of the tab and the blue mat behind the tab and adhere them in place. Then just fill the box with the toffee. Pretty quick and easy! So there is my winter project. I’m Cathy and my treat is Apple Crisp. Hop on over to Amber next to see what treats she has for you…. And don’t forget to hop over to the store – Its our Super Simple Sale. Everything in the store is 23% off! This entry was posted in Rubber Stamp Projects, Tutorials and Quick Tips and tagged Blog Hop, boxes, Copic Markers, Penny Black, tutorial on November 20, 2010 by Cathy. It will be that time sooner than you think! We thought we’d get you in the spirit with a little Holiday Garden Walk. So go get some hot chocolate, pull up a chair and take a fun little Holiday tour. While you visit, take note of each designer’s name and their special holiday decoration in their blog post. Once you finish your garden tour, send an E-mail to custserv@papergardenprojects.com with the list of designers and their garden walk word. Everyone who sends the correct list of designers and decorations will be entered in a random drawing to win a prize. You need to send an e-mail to the address above; please don’t leave your list as a comment. You have until midnight (EST) on Friday, October 22 to send your list. 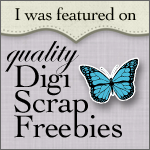 The prize this month is the full set of Woodland Whimsy Digital stamps – all 4 sets. Here is the garden tour guide list. Hope you have a Holly Jolly time! I decided to use the Woodland Whimsy Cardinals and Foxes sets to make my card for the garden walk. In photoshop, I arranged the different small cardinals on the pine tree from the foxes set before I printed the tree. Since the cardinals are solid with a transparent background, this was quick and easy (I flipped and rotated the cardinals until I liked the placement). Of course you could also just print the images, cut out the cardinals and adhere them to the tree (maybe pop them up on some foam tape). My card needed a sentiment – so I decided to create one using one of the cardinals from the set. In case anyone else needs it, here is a free download of the sentiment. This is a zipped file that contains both the PNG and JPG versions. Download the free sentiment here. I mounted the sentiment a a Spellbinders Label 4 die and wanted to repeat the motif on the card corner. So I cut and embossed another tag. On the back, I drew a line down the center (to keep me even), then just positioned my image with the corner on the center line. I traced the two image sides and cut the wedge out with a craft knife to make the corner. So that is my little project. I had Bing Crosby’s “I’m Dreaming of a White Christmas” in my head the whole time I was making it! I’m Cathy and my garden walk decoration is Pine. Your next stop is Amber…. Don’t forget to snag the free Merry Christmas Digi – if you’re so inclined. This entry was posted in Digital Stamps and tagged Blog Hop, Copic Markers, Digital Stamps, Impression Obsession on October 16, 2010 by Cathy. Its Fourth Friday challenge time again – can you believe it! Time sure flies! This month, we want to see all your wonderful Halloween ideas! It can be any type of project: card, scrap page, alerted item, treat pack – we want to see them all. The only rule is that you link up a project newly created for this challenge, although feel free to combine it with other current challenges out there in blogland. Although we would love to see all the art you care to share, everyone will be entered in the prize drawing only once. One winner will be drawn randomly to win the prize. You have until midnight (EST) on Saturday, October 2nd to link up your project. Just click the little froggy face at the bottom of this post to add your project. Your prize this month is this wonderful Halloween sentiment cling stamp. Can’t wait to see what you create! For my project, I created another treat box. I used the clear pillow box for my base. I really like how thick and sturdy they are. The Witch is from the Best Witches cling stamp set. I colored her with copics and used a circle cutter to cut around her partially. Then I cut the rest with scissors so part of her sticks outside the circle. She is matted on a circle and scalloped circle cut with Spellbinder dies. The tag is from the Bump in the Night clear set – the definition is too funny! I used the same set to stamp the Trick or Treat on the purple strip in white. The purple is cardstock punched on both sides with the Scalloped-scallop border punch. I inked the tag and the Witch image background with Scattered Straw Distress Ink and a duster brush. For the ribbon. I just colored the plaid ribbon from the I Want it White collection with my Copic YG-25 marker. So that is my project – I hope you link up your projects (with the little froggy at the bottom of this post). I’d love to see them! How about this cute treat holder from Amber? She used the Candy Corn clear stamp set with the pillow box for her creation. Or maybe this wonderful project by Linda? She used the Happy Halloweenie cling set (bet you didn’t know that skeletons could be cute!). This entry was posted in Gift and Home Decor Items, Rubber Stamp Projects and tagged Blog Hop, border punches, boxes, Copic Markers, Eat Cake Graphics, Impression Obsession, treat bags on September 24, 2010 by Cathy. Its garden tour time again, and we would like to “treat” you to a Halloween Garden Walk. Don’t worry, just treats – no tricks! Please note: I’m off to go camping with the Girl Scouts this weekend (wish me luck) so my post is going up early. The hop officially starts at 10:00 am EST on Saturday. Take a stroll through the blogs of all the Paper Gardeners and enjoy some not-so-spooky inspiration. This month we are focusing on Halloween – mostly on ways to serve up all those Halloween treats. While you visit, take note of each designer’s name and their special Halloween treat in their blog post. Once you finish your garden tour, send an E-mail to custserv@papergardenprojects.com with the list of designers and their garden walk word. Everyone who sends the correct list of designers and words will be entered in a random drawing to win a prize. You need to send an e-mail to the address above; please don’t leave your list as a comment. You have until midnight (EST) on Wednesday, September 22 to send your list. And the prize? How a bout this super cute set of Eat Cake Graphics Halloween stamps? Here is the garden tour guide list. I hope you find some “Boo”tiful ideas…..
For my treat project – I decided to decorate one of the little plastic purses (daughter M really loves these!) with a friendly Halloween theme. The images are from the Pumpkin Pals cling set and the sentiment is from the Happy Halloweenie cling set. Both sets contain some of my all time favorite Halloween images from Eat Cake Graphics. The box comes with a white satin ribbon handle and I wanted to jazz it up a bit. So I pulled out some black checkered ribbon from the “I Want It White” embellishment collection. This collection contains all kinds of ribbon and other embellishments that you can color with your Copics to match your projects (love that about my Copics!!). I just went over the ribbon with my orange (YR-07) copic. While I was at it I colored some scrappers floss (also in the I Want it While collection) to thread my bottons with. I colored the pumpkin images and matted them on black. I stamped the sentiment and made and orange and black matte for it. I also colored some scrappers floss black for the orange buttons. Here are all my project pieces – ready to assemble. I pierced the box tab with my paper piercer to attach the button with the colored scrappers floss. I also added buttons to my sentiment (the orange buttons came from the Tutti Frutti button mix). I simply swapped out the ribbon handle (you could also just color the existing satin handle with Copics if you wish). Then I just added the pumpkin images and sentiment (and added some yummy Reeses Peanut Butter cups!). I’m Cathy and my Garden Walk Treat is Snickers. I hope you are up for more treats. Next in line is Amber – and she has a BIG treat for you! This entry was posted in Rubber Stamp Projects and tagged Blog Hop, Copic Markers, Eat Cake Graphics, Quick Tips and Techniqies, treat bags on September 17, 2010 by Cathy. Take a stroll through the blogs of all the Paper Gardeners and enjoy some friendly inspiration. This month we are focusing on Fall and Back-to-School projects. While you visit, take note of each designer’s name and their special garden walk word in their blog post. Once you finish your garden tour, send an E-mail to custserv@papergardenprojects.com with the list of designers and their garden walk word. Everyone who sends the correct list of designers and words will be entered in a random drawing to win a prize. You need to send an e-mail to the address above; please don’t leave your list as a comment. You have until midnight (EST) on Wednesday, August 25 to send your list. And the prize? We may be celebrating Fall, but summer is not quite over yet. So how about not one but 2 cute summer Kraftin Kimmie unmounted stamps! I decided on a back to school project for my post. I don’t know about everyone, but by the time school starts, I’m ready for a little routine. Not that I don’t enjoy spending more time with the kids and going on avdentures – but after 3 months of it – I start running out of steam :). I wanted to make a card to share with a couple other Moms who are in the same boat. I knew I wanted a back to school background. I made the background by repeating the text “Back-to-school” with the School Script Dashed font from the DaFont site. This is a great site to get free fonts for personal use. One hint with the font – if you want the lines to go all the way across you need to include the dashes. I just sized the font and repeated the text until I liked the the size. If you are using Word create your text, you can go under “view” and then click on the gridlines. It will give you 1/4″ gridlines that can really help to size things. For this card, I used the painting mouse from Crafting Companions stamp set. I colored him with copics and popped him up with foam tape on the background that I created. For the paper I used the new Apple Cider paper pad from Imaginisce. Since I love fall, I seriously love this paper pad – cute, whimsical fall. The paper is Prism cardstock – Crabapple Dark and Intense Kiwi. So… inside the card is a simple sentiment printed with the same font. I added some leftover patterned paper strips to decorate the inside a little. So that is my project. My blog hop word is Leaves. Next in line is Amber – so stroll on over. This entry was posted in Uncategorized and tagged Blog Hop, Copic Markers, cute companions on August 21, 2010 by Cathy.